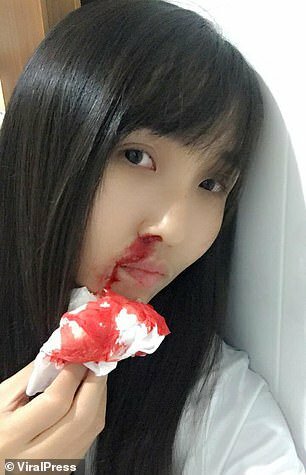 The recent thick smog has caused several locals to cough blood. Ultra-fine pollutant particles in the air, known as PM2.5, reportedly enter the bloodstream and every organ of the body resulting in serious health issues for locals. Bloodshot eyes due to the smog. 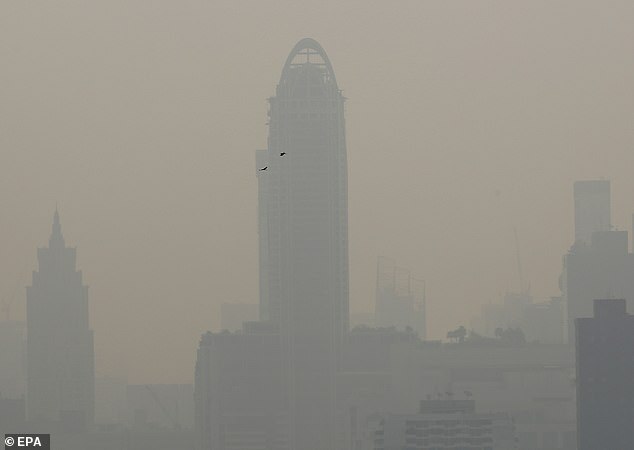 Thailand's Pollution Control Department (PCD) director-general Pralong Damronthai revealed that the haze is a result of car exhaust fumes, open burning, and pollution from factories, Bangkok Post reported. Consequently, certain vehicles are being inspected and banned daily to reduce the dust in the city. Locals have been encouraged to use public transport, as many looked for ways to cope with the pollution. 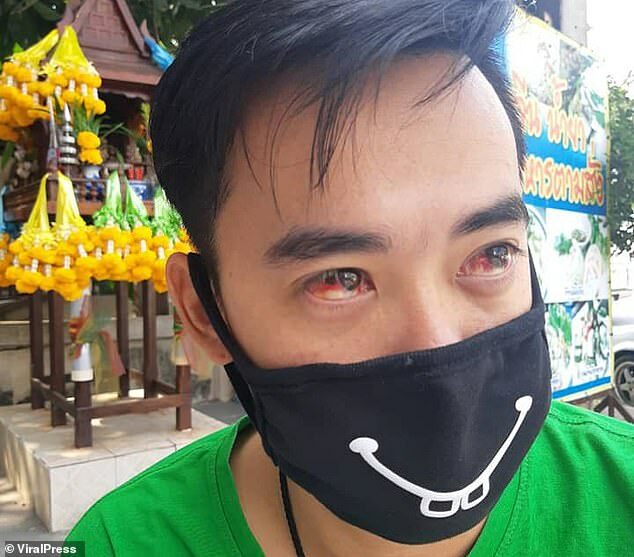 One man in particular went viral after he tested a pair of nasal filters. 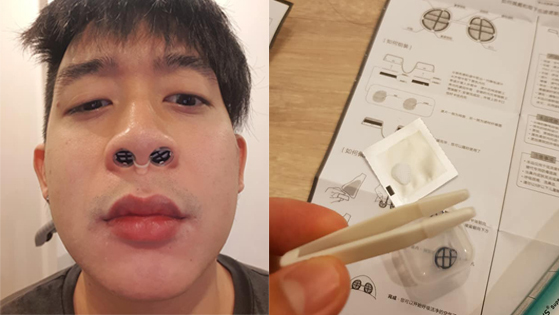 In a Facebook post on 25 January, 28-year-old Saimake Puengudom reviewed a pair of WoodyKnows nasal filters for his family and friends. Little did he expect that his post would be shared over 5,100 times since. A quick search on Google showed that the nasal filters come in different sizes. Saimake explained to SAYS that though the nasal filters worked well, he found them to be a little uncomfortable to wear because the filter doesn't protect your mouth. "It's really hard to keep the mouth closed when you're outside. Plus it's harder to breathe because the filter is directly placed in the nostrils, making it difficult to inhale quickly," he said. 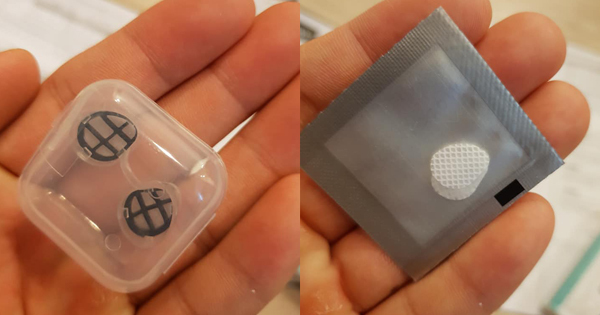 "Compared to N95 (mask), I would still recommend [using the mask]," he said. You can also watch this video for a review on the nasal filters. The haze is expected to last for the next few days. 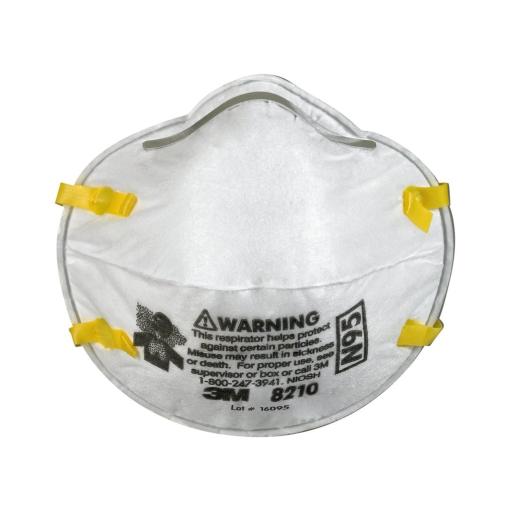 Avoid using normal surgical masks as they are ineffective in protecting the wearer during haze.